The Mega Stack Challenge is poised to make a merry holiday for many players just in time for the Christmas season. 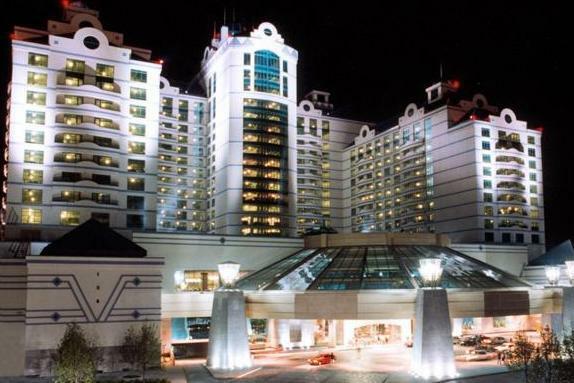 Running Dec. 1-11, the 12-event series at Foxwoods Resort Casino in Connecticut boasts a $1 million guarantee. The action begins strong right out of the gate with a $500,000 guaranteed no-limit hold’em $600 buy-in tournament. The event features four starting flights, and players can win their way in at a discount with $120 mega super satellites. Another schedule highlight is the $250,000 guaranteed no-limit hold’em event, with a $1,650 buy-in and multiple starting flights that begin on Dec. 9. Other tournaments offered include a $300 Omaha eight-or-better event, a $300 senior’s event, a $230 ladies event, and a $400 multi-flight event. For more information on the upcoming Mega Stack Challenge, visit the casino’s poker page.